1 Bedroom Flat To Rent in Yeovil for £550 per Calendar Month. 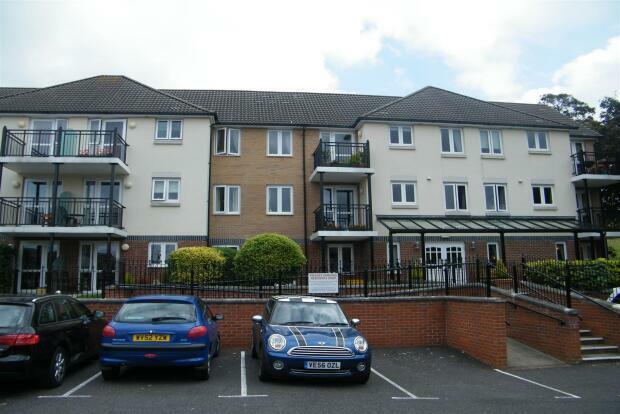 A second floor purpose built retirement apartment situated within Wyndham Court just minutes from Yeovil Town Centre. Accommodation comprises Entrance Hall, Lounge/Dining room, Fitted Kitchen with integrated appliances, Double Bedroom, Bathroom and Balcony. Specifically designed for the over 55's the property also benefits from a number of other features including Residents Lounge, Guest Suite, House Manager, Lift with access to all floors, Intruder alarm and communal car parking. AVAILABLE TO LET FURNISHED. VIEWING NOW. Bathroom 5'7" x 6'10" (1.7m x 2.08m). Low level WC, wash hand basin with vanity unit, panelled bath with shower over, extractor fan, heated towel rail, shaver point, panic button, electric wall heater, tiled walls. Bedroom One 9'2" (2.8m) narrowing to 5'1" (1.55m) x 11'7" (3.53m) narrowing to 12'10" (3.9m). Double glazed window to rear, built in double wardrobe, night storage heater, telephone point, television point, carpeted. Living/Dining Room 23'7" (7.2m) x 10'10" (3.29m) narrowing to 8'6" (2.6m). Double glazed window to rear, double glazed door to rear leading onto a balcony, night storage heater, television point, telephone point, carpeted, double doors which lead to the kitchen. Kitchen 7'8" x 6'7" (2.34m x 2m). Double glazed window to rear, range of wall and base units, stainless steel sink unit, integrated electric oven, integrated electric hob with extractor hood, integrated low level fridge, integrated low level freezer, tiled splashbacks, vinyl flooring, electric wall heater. Rear Balcony Tiled flooring, southerly aspect, outside light.